Muscles play an important role in protecting our bodies. They act as a cushioning layer covering most of our brittle skeleton and fragile visceral organs. 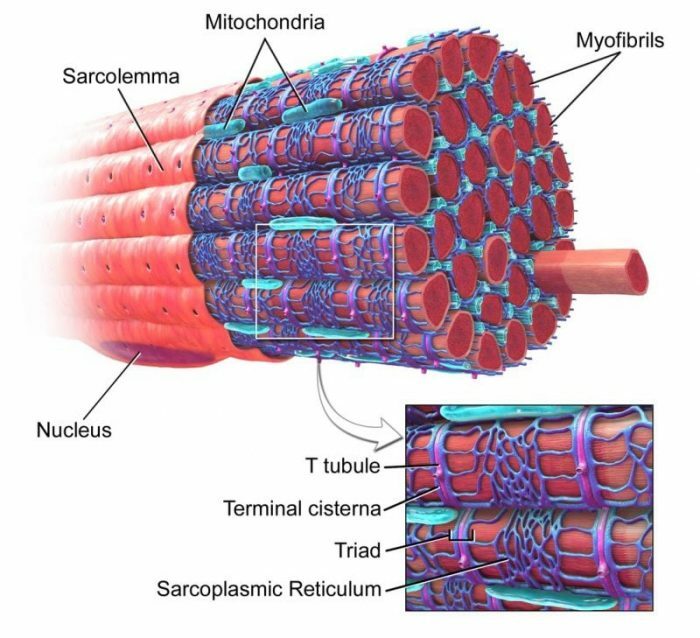 While we have the desire to build up strong muscles for protecting ourselves, can we learn from the internal structure of muscle tissue for the invention of new protective systems? Inspired by the shape and the internal nano-architecture of muscle and tendon, Australian researchers have recently proposed an innovative form of energy-absorbing structures. 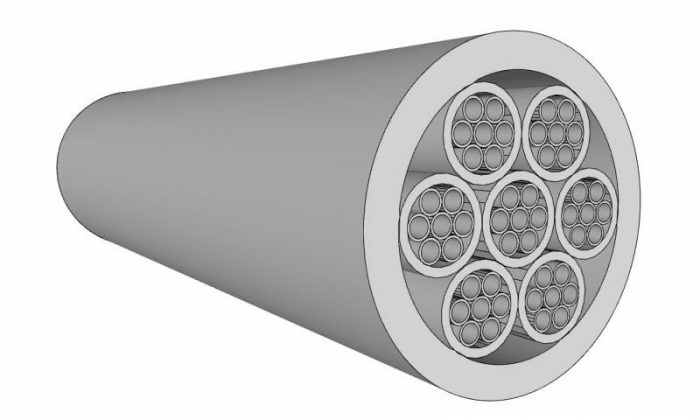 Hierarchy is introduced by packing seven equal-sized, smaller-diameter tubes inside a larger-diameter tube. The process can be repeated for creating tubular sections of higher hierarchical order. This is distinguished from the traditional architectures of artificial cellular solids, such as foam, honeycomb, and lattice, which are commonly used for impact energy-absorption nowadays. A proof-of-concept study has revealed that the energy absorption capability is improved significantly when a structural hierarchy is introduced and greater enhancement is achieved for higher-order hierarchical structures. For examples, the peak stress of the target body is reduced by around 30% by introducing one level of hierarchy (i.e. a second-order structure), and a further reduction of 30% can be achieved by introducing one more level of hierarchy (i.e. a third-order structure). More prominent results have been obtained in the amount of energy transferred to the target: around 70% and 90% reductions by the second-order and the third-order structure respectively. Nature has taken millions of years to optimize biological materials as the most structurally and functionally efficient configurations. With the advancement of technologies in various fields, studying and learning from the features and principles at the micro- and nano-levels has become a fertile research area. It is well-known that structural hierarchy exists in biological materials, such as tissues of muscle, tendon, bone, bamboo, and wood. Biomimetics and bio-inspiration are promising approaches for novel designs of materials, structures, and systems with superior properties. There have been a lot of remarkable successes in enhancing strength, stiffness, and toughness of materials and systems. However, the energy absorption properties of biological materials are scarcely exploited until recent years, and the protective capability of muscle has remained uncharted. This is just the beginning; the researchers believe that the bio-inspired “muscle” concept can open up avenues of many new inventions in the area of hierarchical energy-absorbing systems. This can find a wide range of real-world applications in the design of airframe, vehicle frame and bumper, impact barrier, packaging and coatings, protective wear and equipment, and so forth. Production of the novel hierarchical structure can be conveniently realized through computer-aided design and rapid prototyping by three-dimensional printing in a reasonably short time frame and at an affordable cost. These findings are described in the article entitled Impact Energy Absorption of Bio-inspired Tubular Sections with Structural Hierarchy, recently published in the journal Composite Structures. This work was conducted by Dr. Hing-Ho Tsang and his Ph.D. student Saim Raza from the Swinburne University of Technology.